Chandgad is located at 15°N 74°E﻿ / ﻿15°N 74°E﻿ / 15; 74 in the Kolhapur district of Maharashtra. Chandgad is the southernmost taluka for Kolhapur district. Chandgad receives more rainfall compared to any other town of Kolhapur district, receives nearly 3000 mm of rainfall under the direct influence of the Arabian Sea branch of the South-West monsoon. Rainy season period is from June to September. The rains subside in September, with the occasional rainfall in October and November. It is covered with dense lush green forest. Here one can see large number of cashew nut tree plantations. Here the climate is cool like Mahabaleshwar, so it is called "Prati Mahabaleshwar". Swapnwel point and Kille Pargad are among the tourist spots in Chandgad. Rice, sugar cane, cashew nut, sweet potato and potato are the major crops. Being part of Western Ghat, Chandgad's surroundings are rich in biodiversity and it is a UNESCO World Heritage Site. Many new species of flora and fauna are found in this region. Ghataprabha and Tamraparni are the largest rivers of Chandgad. Many dams are in Chandgad. Jangam Hatti dam is one of the major source of water to many villages in Chandgad Taluka. The rainy season witnesses heavy rains by the South-West Monsoon. The monsoon period is from June to September with rainfall averaging more than 3000 mm every year and heavy winds. Since the city is located on the Western Ghat, it has a pleasant climate, with temperatures in the range of 360C to 290C during summer and 210C to 140C during winter. Jagrut Devastan Shree Dev Ravalnath temple is located here. Ravalnath is a very popular Shaivite deity in west coastal region of India, figuring predominantly Adure (Sateari) Goa, the Sindhudurg district and some areas of Kolhapur district specially Chandgad and Ajra taluka of Maharashtra and some areas of Karnataka. Kowad is the birthplace of Padmashri Swamikar Ranjit Desai, is a village in east part based on the bank of Tamrparni River. Halkarni is the major town here. Sakhar Ganpati is very famous here. Daulat sugar factory is located at Halkarni. At Tilarinagar there is one popular electricity generation plant which provides power to the Goa. This is tehshil of fort like Pargad[unreliable source?] in west, Chandgad was earth fort (Bhooi Killa), Kalanandigadh in center, Mahipalgadh in east. Tilari Dam, Swapnavel Point. The hill station which has maximum rainfall in Maharashtra named as Amboli is very close to Chandgad. Jangamhatti and Ghataprabha dam which is built near Kanur Khurd village on Ghataprabha river are the bigger dams of here. Mateshwar temple is very close to Chandgad, and this temple's association with God Mateshwar is celebrated with a Mateshwara Festival. There are a number of forts in Chandgad, out of them killa Pargad was importantly used by Marathas to resist the attack of the Portuguese from Goa; sardar of this fort were rayaba malusare, Gaikwad, Pednekar gharane, and Sawant. Kille Kalanandigad is protected by Gaikwad families of Halkarni and kille Pargad is protected by Pednekar families of pednekarwadi. There are a substantial number of Chardo families in this area as they had migrated due to the persecution of the Portuguese in Goa. They amount to almost half the population. 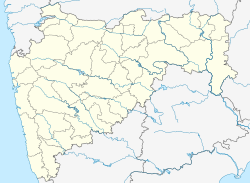 Chandgad was formerly a part of Belagavi District, but during reorganization of Maharashtra state the entire taluka was merged into Kolhapur District. Marathi and Konkani are the native languages. Konkani (Malwani Konkani) is spoken mostly in the western part. The Goan Catholic community speaks Goan Konkani. Ganesh Chaturthi, Dussehra, Diwali and Holi are the main festivals. The most important is the Ganesh Chaturthi, the festivities run into several days, but minimum at least for two and half days and seven days. Holi (Locally known as Shimga) is another festival in Chandgad, which is a festival of colour. The festivities runs into several days, some places for seven days and in some places for 15 days.In the festival People used to perform folk dances (locally known as 'Songa') or some Ramayan events featuring the Lord Rama, Laxmana and Sita along with Lord Hanumana on the road all through the length of the parade as they have been doing for centuries. Diwali, the festival of lights, is celebrated all over India. Its roots go back more than 7000 years to the time when Lord Ram killed the demon king Ravan. Ram was welcomed in his hometown Ayodhya by a celebration of crackers and lights. Chandgad mostly depends on agriculture. This place has many crops like paddy, jawar, banana, sugar cane and cashew. There are large number of cashew nut processing factories in the Chandgad region. Chandgad has three sugar factories, one co-operative, Daulat Sugar Factory, Halkarni; and two private, Hemarus sugars, Rajgoli and Nalwade Sugars, mahalunge khalsa. Daulat factory has now shut down its productions due to financial problems and corruption at the political level. Chandgad is connected to its district headquarters city Kolhapur 112 km away through Chandgad-Kolhapur road via Gadhinglaj.Chandgad is connected to Belgaon and vengurla via State Highway 121. Belgaon is on National Highway-4 (connecting Maharashtra [Now part of the Golden Quadrilateral], Karnataka, Andhra Pradesh and Tamil Nadu) and 4A (connecting Karnataka and Goa).For public Transportation, MSRTC and KSRTC buses are available. Chandgad is well connected to Sawantwadi through State Highway 121, which connects to Mumbai-Goa National Highway-17. Dabolim Airport (GOI) Vasco-da-Gama,Goa is the major international airport 118 km away. Belgaum (IXG) Airport is another airport 40 km away. Chandgad is well connected to Belagavi. Belagavi is on the main Indian Railways grid, being part of south western division and is well connected by rail to major destinations such as Bangalore, Mysore, Hubballi, Mangalore, Pune, Mumbai, Hyderabad, Goa, New Delhi and Chennai. Chandgad is well connected to Sawantwadi via State highway 121. Sawantwadi is connected to Konkan Railway. Through Konkan Railway, chandgad is connected to the major destinations such as Mumbai, Ratnagiri, Goa, Karwar, Udupi, Mangalore and Kerala. ^ "Chandgad, India Page". Falling Rain Genomics, Inc. Retrieved 2008-05-17. ^ "Pargad Fort History". Maharashtra Gazetteers. Retrieved 2012-05-18.